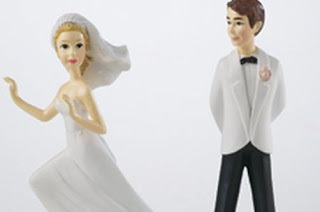 A grand wedding reception held at a leading hotel in Aluthgama had a sad ending for the bridegroom, parents of both parties and the invitees when the bride suddenly went missing after the nuptials and other traditional ceremonies, recently. The parents of the bride had found a suitable partner for their daughter and planned to give her away in right royal style by arranging a grand reception at a leading hotel in Aluthgama. They had spent over Rs. 1.7 million for the tamasha. The reception had got into full swing after the traditional marraige ceremonies with liquor flowing freely. Almost all elders present were in high spirits and the couple was enjoying the frolicking seated on their sofa in the hall. Suddenly, the relatives had come to understand that the bride had gone missing and searched every nook and corner in the hotel to find her. All were astounded and the agitated relatives and friends were informed that someone had seen the bride standing at the entrance and getting into a car which had stopped in front and leaving with the person who drove the car. Later to the consternation of all, it was revealed that she had eloped with a married man of the same area whom she had befriended earlier. Ambalangoda Police said they have already received a complaint regarding this incident and investigations are on.